The brush tip pen is the latest example of brush technology. 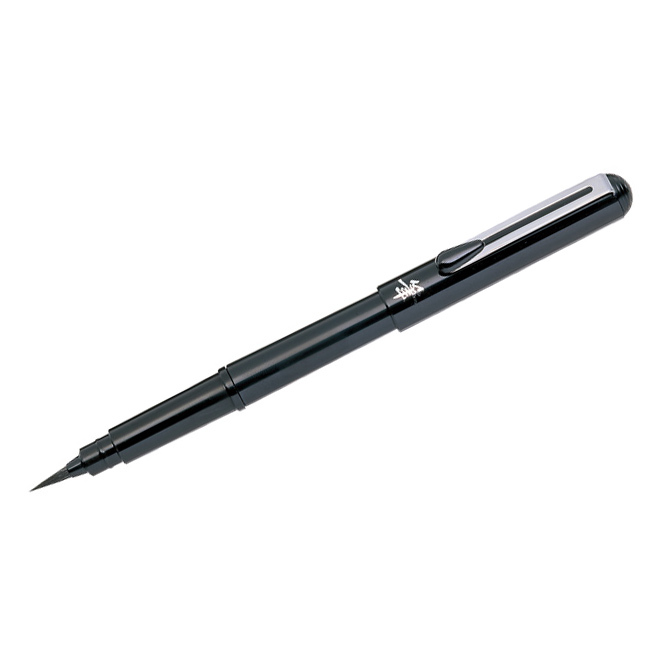 Employing the finest man-made bristles, the pen uses clean, convenient, long lasting refills of black pigment ink that is both waterproof and fade resistant. Each pen comes with 2 refills. Ideal for calligraphy, birthday cards and invitations & sketching. With a fatter brush and ink that cartridge paper seems to love sucking in, controlling the Pentel Brush Pen can be tricky. I'm a huge fan of Pentel's Aquash pens, which I normally fill with Chinese calligraphy ink to great effect. I was hence quite disappointed with the performance of the Brush Pen and the noticeable difficulty gap between using it and an Aquash, especially because the Aquash normally retails for about half the price and can be filled with whatever surplus ink I have handy.